In the framework of Project TR@NSENER - European Cooperation Network on Energy Transition in Electricity, and Project Ef&RelDC@HomO – Efficient and Reliable DC Electricity Distribution at Home and Offices, CISE is organising a High Level Conference entitled “DC Electricity Distribution”, to be held on the 07th of May 2019, at Guarda, Portugal. The two keynote speakers - Mario Dionisio, Programme Officer from the European Commission (DG Energy) and Bern Wunder, Group Manager “DC Micro Grids” from Fraunhofer IISB - will provide an overview on the challenges and opportunities underlying the development of DC electricity distribution systems within the context of homes and offices. The High Level Conference will be followed by a visit to Guarda International Research Station on Renewable Energies (CISE | GIRS-RES). For complete details about the event agenda, please click here. Participation in the event is subjected to a mandatory registration until 30 April 2019 (click here to register). Please note that this is a free attendance event, with a limited number of seats available. Presentation of paper “Thermal Analysis of an Induction Motor Subjected to Inter-Turn Short-Circuit Failures in the Stator Windings” at the 2019 International Conference on Industrial Engineering, Applications and Manufacturing, Sochi, Russian Federation, 25-29 March 2019. Interview (in Portuguese) about Project "Ef&RelDC@HomO – Efficient and Reliable DC Electricity Distribution at Home and Offices", to its Principal Investigator and Director of CISE, Prof. Dr. Antonio J. Marques Cardoso, for the radio program "90 Segundos de Ciência" (90 Seconds of Science). To listen to the podcast, please click here. The 2018 issue of CISE Newsletter has been released. Enjoy your reading! 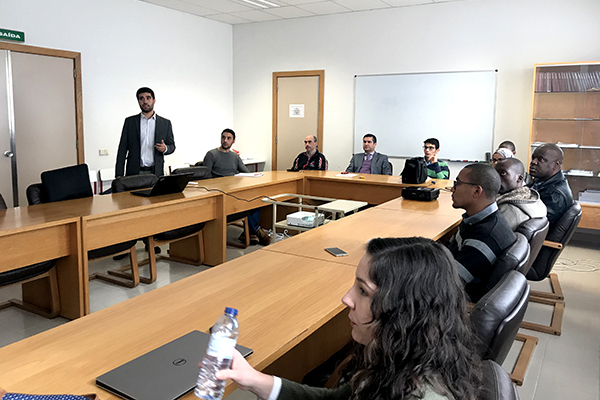 Dr. José Miguel Vieira Alberto, Post-Doctoral Researcher at the Institute of Systems and Robotics, University of Coimbra, Portugal, presented a seminar on “Inductive Power Transfer” on the 14th of November 2018, at CISE | LSE. 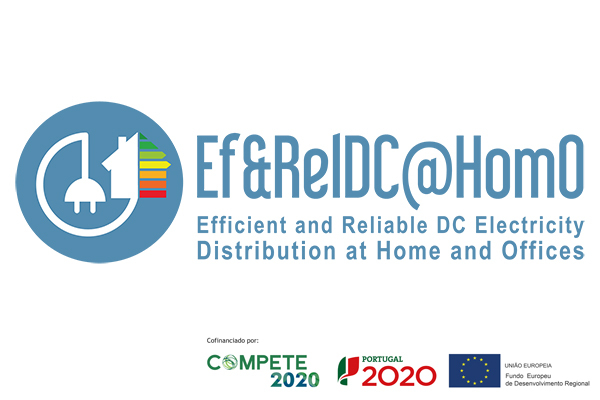 The research project entitled "Ef&RelDC@HomO – Efficient and Reliable DC Electricity Distribution at Home and Offices" has been approved for funding by the European Regional Development Fund (ERDF) through the Operational Programme for Competitiveness and Internationalization (COMPETE 2020) and by FCT - Portuguese Foundation for Science and Technology. The project aims to leverage the deployment of DC electric energy distribution system at homes and offices, by proposing efficient and reliable solutions for the components that play a vital role in the DC electric energy distribution system. This mobilizing research project, which involves a relevant number of researchers of CISE, covers most of the fields of expertise in which CISE research team has advanced know-how. The project, funded in € 239.879,65, started on the 19th of July 2018 and will be developed over the next three years. The fact sheet "New motor technologies", published by Topmotors, has been released in November 2018. As a follow-up of a collaboration between CISE and the Topmotors programme, the fact sheet outlines the advantages and disadvantages of various motor technologies employed in industry applications. It highlights some of the most relevant conclusions taken from research activities, in the domain of energy efficiency, carried out at CISE | LSE. The fact sheet is publicly available and can be accessed here. Topmotors is an implementation program for efficient motor driven systems in Switzerland which offers professional support to public and private right entities, including industry, through fact sheets, continuing education courses, workshops, newsletters, and webinars. The book "Diagnosis and Fault Tolerance of Electrical Machines, Power Electronics and Drives" was released by IET - The Institution of Engineering and Technology. The scope of the book encompasses the issues related to fault analysis, fault detection and isolation, diagnostics, prognostics, condition monitoring, post-fault reconfiguration, remedial operation, robust control, and fault tolerance of electromechatronic systems. Most book chapters’ contributors are Integrated Researchers of CISE. 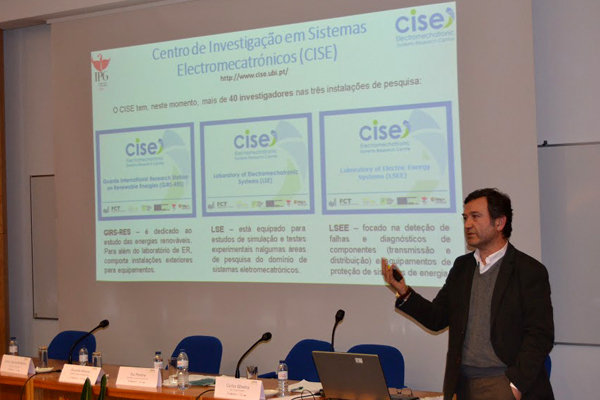 The book is edited by Prof. Antonio J. Marques Cardoso, Director of CISE. For further details, please click here. Presentation of paper “Fault-Tolerant PMSG Direct-Drive Wind Turbines, using Vector Control Techniques with Reduced DC-Link Ratings” at the 44th Annual Conference of the IEEE Industrial Electronics Society, Washington D.C., USA, 21-23 October 2018. 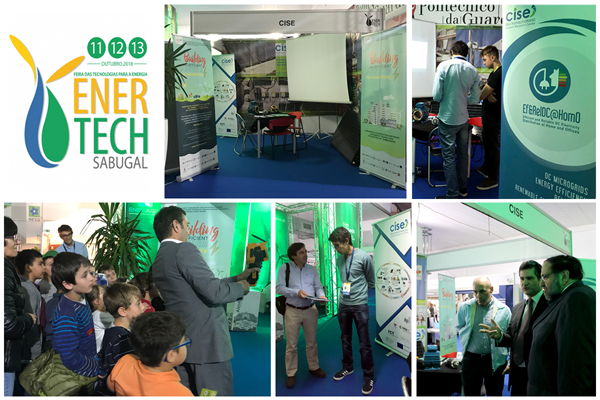 CISE participated, as institutional partner and exhibitor, in the third edition of ENERTECH SABUGAL – Technology for Energy Fair, that took place in Sabugal, Portugal, from the 11th to the 13th of October 2018. 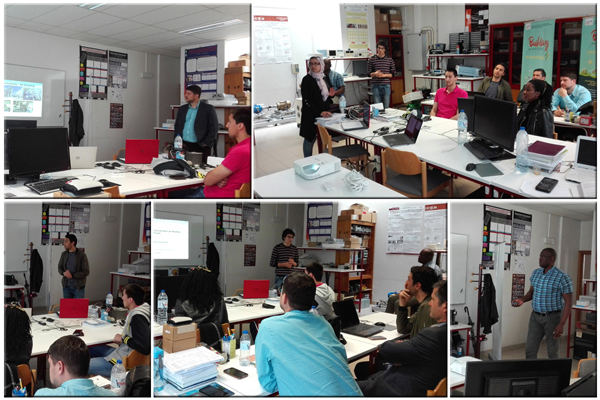 In the framework of an academic visit to CISE | LSE, Dr. Alejandro Gómez Yepes from Universidad de Vigo, Spain, presented a lecture entitled “Modeling and Control of Multiphase Machines and Drives” on the 4th of October 2018. Dr. Alejandro Goméz Yepes’s lecture was followed by a series of seminars presented by Post-Doctoral Researchers and PhD Students. The call for application for the International Selection Tender Procedure for Doctorate at CISE - Electromechatronic Systems Research Centre, in the framework of Project Ef&RelDC@HomO: “Efficient and Reliable DC Electricity Distribution at Home and Offices" (POCI-01-0145-FEDER-029494) is now closed. The received applications have been evaluated and the candidates have been contacted. “On-Line Stator Fault Diagnosis in Line-Start Permanent Magnet Synchronous Motors”. 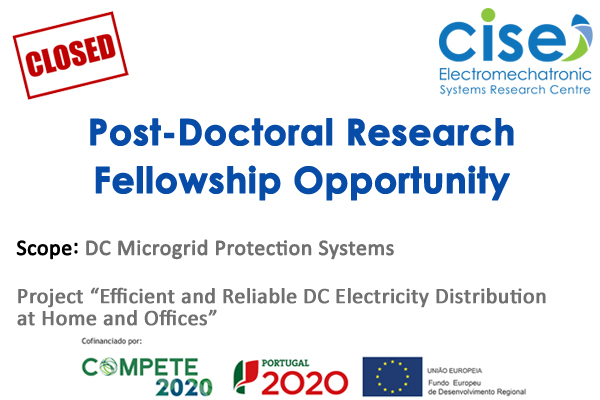 The call for application for Post-Doctoral Research Opportunity at CISE - Electromechatronic Systems Research Centre, in the framework of Project Ef&RelDC@HomO: “Efficient and Reliable DC Electricity Distribution at Home and Offices" (POCI-01-0145-FEDER-029494) is now closed. The received applications have been evaluated and the candidates have been contacted. Project TR@NSENER won the "2018 Trophée d'Or" at the 7th edition of the Deauville Green Awards, in the category of "Energy Transition" of the "Info" Competition, with the promotional video that can be seen here. The festival took place in Deauville, France, on the 19th and 20th of June 2018, bringing together 420 documentaries, image films and adverts screened in 14 themed categories. 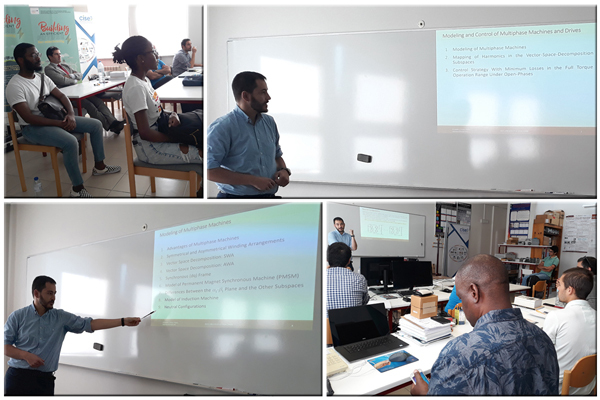 In the framework of an academic visit to CISE | LSE, Dr. Konstantinos Gyftakis from Coventry University, UK, presented a lecture entitled “Recent Advances in Rotor Electrical Faults Diagnosis in Induction Motors” on the 7th of June 2018. Dr. Konstantinos Gyftakis’s lecture was followed by a series of seminars presented by MSc and PhD Students, and Post-Doctoral Researchers. 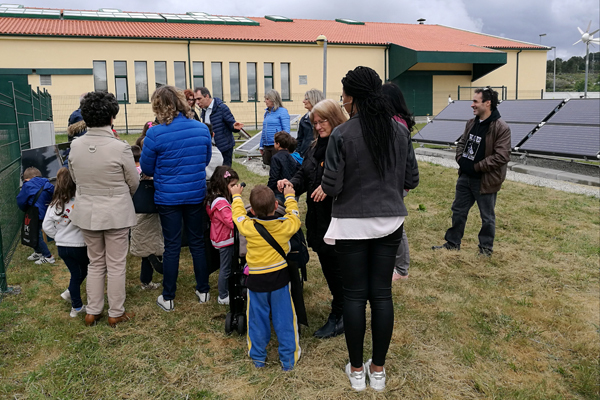 In the scope of an initiative to raise awareness of environmental citizenship and to celebrate the World Environment Day, CISE | GIRS-RES facilities were visited by elementary school students. The Polytechnic Institute of Tomar (IPT) organized with the participation of CISE, the Seminar "Urban Rehabilitation - Challenges and Opportunities", that was held at Tomar, on the 24th and 25th of May 2018. For further details, please click here. The Competitiveness and Innovation Week, organized in the framework of Project 4INOVA.PT, took place from 5 to 9 of March 2018. A journey dedicated to "Trends for Innovation in the sectors of Agri-Food, Information Technologies, Communications and Electronics, and Materials", promoted by NERGA (Business Association for the Region of Guarda), took place on 9 March 2018, at Guarda. One of the panels of the event counted with the participation of Prof. Carlos Figueiredo Ramos who gave a talk under the thematic "Renewable Energies: Cogeneration and Trigeneration". The publication Open-Circuit Fault Diagnosis in PMSG Drives for Wind Turbine Applications, by Nuno Freire, Jorge Estima and Antonio J. M. Cardoso, in IEEE Transactions on Industrial Electronics, Vol. 60, Nº 9, pp. 3957-3967, September, 2013, has been listed by Web of Science as Highly Cited Paper for receiving enough citations in November/December 2017 to place it in the top 1% of the academic field of Engineering based on a highly cited threshold for the field and publication year. [Data from Essential Science Indicators ℠]. The publication A New Algorithm for Real-Time Multiple Open-Circuit Fault Diagnosis in Voltage-Fed PWM Motor Drives by the Reference Current Errors, by Jorge Estima and Antonio J. M. Cardoso, in IEEE Transactions on Industrial Electronics, Vol. 60, Nº 8, pp. 3496-3505, August, 2013, has been listed by Web of Science as Highly Cited Paper for receiving enough citations in November/December 2017 to place it in the top 1% of the academic field of Engineering based on a highly cited threshold for the field and publication year. [Data from Essential Science Indicators ℠]. CISE has the pleasure to inform that the IEEE European Public Policy Initiative (EPPI) has just published the public policy position statement entitled “DC Electricity Distribution in the European Union: An opportunity for energy efficiency in Europe”. This position statement provides European authorities with key recommendations that will help positioning Europe as a leader of one of the most significant technology advances of the next few years. To read this position statement, please click here. The IEEE EPPI brings together technology experts and European public authorities, promoting the dialogue and exchange of points of view between the European engineering community and the European public authorities. On behalf of the Guest-Editor, Prof. Antonio J. Marques Cardoso, we have the pleasure to inform that the Special Issue on "Fault Diagnosis of Electric Machines, Power Electronics and Drives" of the IEEE Transactions on Industry Applications has been released. To access it, please click here. Project TR@NSENER: “Réseau Européen de Coopération sur la Transition Energétique en Electricité”, involving Université Toulouse III Paul Sabatier (France), Fundación para la Sostenibilidad Energética y Ambiental (Spain), Faculdade de Ciências da Universidade de Lisboa (Portugal), Universidad Politécnica de Madrid (Spain), Centre National de la Recherche Scientifique (France), Fundación CIRCE - Centro de Investigación de Recursos y Consumos Energéticos (Spain), Universidade da Beira Interior - CISE (Portugal) and Fundación Corporación Tecnológica de Andalucía (Spain), was approved for funding by the European Commission under the Program INTERREG V-B SUDOE.